Motion UI is a standalone library that powers the transition effects used in a number of Foundation components, including Toggler, Reveal, and Orbit. 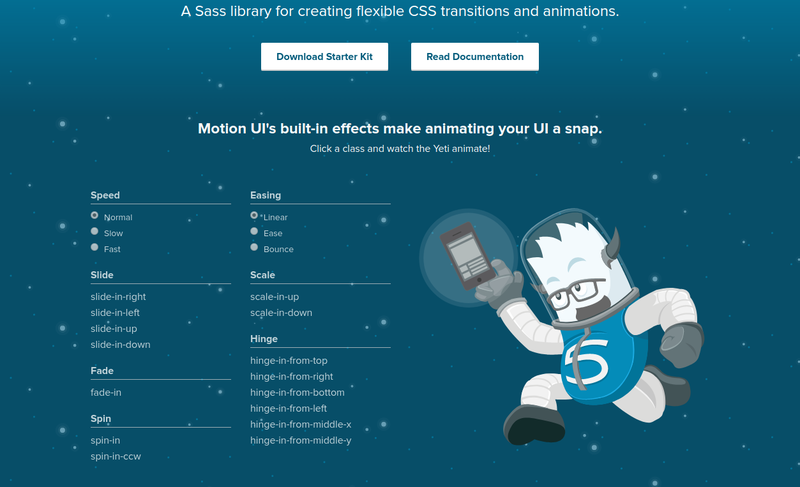 The transitions are powered by special transition classes that the Motion UI Sass creates. For example, here are two instances of Toggler—one using fade classes (.fade-in and .fade-out), and one using slide classes (.slide-in-down and .slide-out-up). In the simplest terms, ZURB is a product design company. We help companies design incredible digital products (things like desktop software, mobile apps, etc), websites, and integrated services.